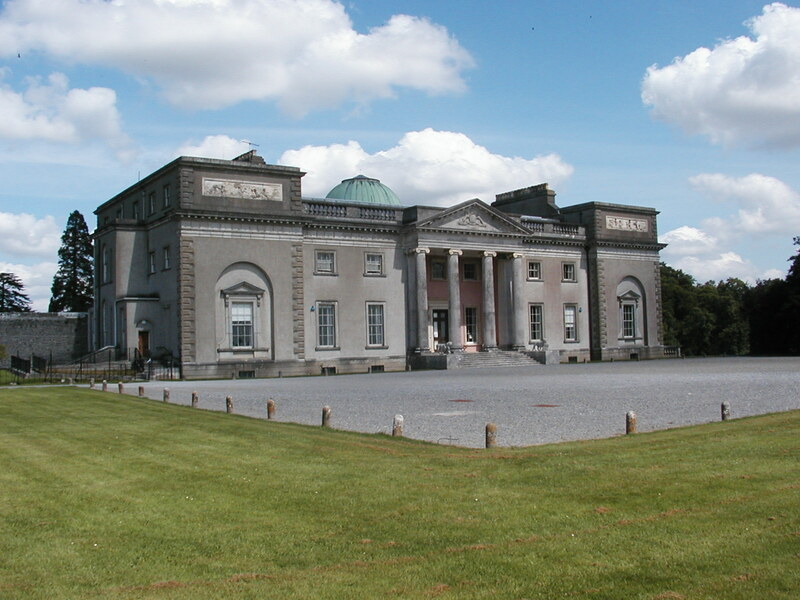 Emo Court is a country villa designed by architect James Gandon (1743-1823), best known for his great public buildings, including the Custom House and the Four Courts in Dublin. The house and gardens are owned by the State and are open to the public. Emo Court is owned and managed by the Office of Public Works (OPW). For details of events, opening and other enquiries, please see the website of Heritage Ireland or contact the OPW at Emo Court, phone 057-862 6573. The house is a magnificent example of the neo-Classical style, reflecting the architecture of ancient Greece and Rome. The house is surrounded by beautiful gardens and parkland which were first laid out in the 18th century and contain formal lawns, a lake and woodland walks with many very fine trees and shrubs. Gandon designed Emo Court in 1790 for John Dawson, the First Earl of Portarlington. When the earl died in 1798, the house was incomplete. No more work was done until the 1830s, when the second earl completed the garden front and commenced work on the interior. Starting in 1860, the third earl oversaw building of the copper dome on the rotunda, as well as work on the interior and construction of a bachelor wing. When the last of the Portarlingtons left Emo Court in 1920, the house fell into decline. The Jesuits purchased the house in 1930 and used it as a seminary. In 1969, the order sold Emo court to Major Cholmley Dering Cholmley-Harrison who began the laborious process of restoring Emo Court and its grounds. Today Emo Court and its gardens are owned and managed by the Office of Public Works. Check the Heritage Ireland website for details of opening hours and events.